12. Josephus tells us Romans rounded up writers of alternate histories and executed them. Only the official history of Josephus was to survive. All the copies of those alternate histories were destroyed. This assertion is entirely fiction. There is no evidence for any of these claims, as far as I am aware, and I have read reasonably widely on literature in the time of the Flavian emperors. The history Josephus wrote was not an “official” history somehow “approved by” the authorities, either. It is quite unlikely that the Flavian emperor’s ever read or heard a reading of Josephus’s work. They had other propaganda and administrative issues to take up their time. Other extravagant claims in the video are that the Roman authorities seized the holy books of the Jews from the temple, somehow implying that such an action was targeted at reducing the Jewish belief in a messianic leader to come and free them from the Romans. That, we saw, was also a misleading claim since the Jews held many other copies of the Scriptures and they probably never even read the actual copy deposited in the Temple to begin with. It was there as a sacred relic. Besides, belief in an imminent messiah, even if it existed (and we linked to evidence there was no such disturbing movement at that time) would not be quelled by removing texts from a mostly illiterate population. 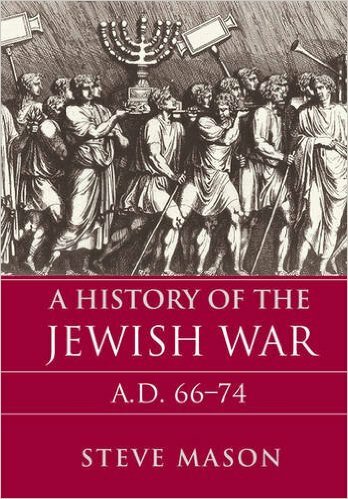 Josephus and other sources that inform us about the Jewish War and Roman military concerns inform us of other reasons for the Jewish was that had nothing to do with a so-called “messianic movement”. The video’s claims or inferences that the Flavian emperors (Vespasian and Titus) were confronted by widespread and regular Jewish uprisings are simply not true. I don’t know the basis for that claim but I know of not a single ancient historian that said the Vespasian family were “the Christ”. Josephus said there was a prophecy that a world ruler would come from Judea and that’s all there is. Josephus did not tell us the actual source for that claim, but it was a timely one to make to ensure his survival and to assist Vespasian in establishing his status as a rightful emperor. He used the propaganda to declare that he was a fulfillment of an ancient prophecy from the east, but the notion of a Jewish “christ” or “messiah” was alien and meaningless to him. We have another argument (I don’t mean evidence-free speculation) for when and why somebody sat down and wrote the first gospel, the one we know as the Gospel According to Saint Mark. I’m going to have to set several of these arguments (beginning with William Wrede and on up through Burton Mack, Dennis MacDonald, and most recently till now R.G. Price) and set all their key points of argument out in a table and compare. I will try here to set out the main gist of Adam Winn’s case. He begins with the date of its composition because on the relative date hangs his whole thesis. It was written, he believes, not soon prior to but after the destruction of the Temple of Jerusalem in 70 CE. 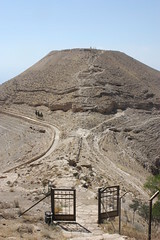 Some scholars say the gospel was written just prior to the destruction of the temple and point to some specific details in Jesus’ prophecy not being literally fulfilled; so “Mark” (I’ll call the author Mark henceforth for convenience) was recording a tradition that Jesus did predict the temple’s destruction. even if Jesus did predict the temple’s destruction it would be irrelevant to the question of whether Mark wrote before or after its fulfillment. In fact, it would be risky for the author to record it before the event because he could not have known if it was going to happen and he would know he could eventually lose the confidence of his audience if it didn’t. (Even during the siege of Jerusalem itself it was not clear that the Temple would finally be destroyed.) It is more likely that Mark wrote after the prophecy had been fulfilled when the prophecy would be vindicated among readers. But there is a stronger positive argument Winn uses. Winn sets out the arguments and evidence for the gospel being written in Rome and primarily for a gentile audience. I won’t repeat all of the details here. That’s point one. Point two. We can know from Paul’s letters to gentile Christians that the temple of Jerusalem was simply not a thing in the everyday consciousness of gentile Christians. It was not discussed. It was not important for their beliefs. It never arose in Paul’s conversations with them. Yet — in the gospel of Mark there are several chapters given to addressing the temple, its authorities, its fate and theirs. From the time Jesus enters Jerusalem and is welcomed by “the people” through to his trial the temple, its destruction, and the demise of the authorities of that temple, is constantly before us. Even Jesus’ debates with the leaders are debates with those who bear responsibility for the temple’s doom, and those debates are concluded with a parable pointing to their bloody end. So why? Why does Mark devote so much of his narrative to the fate of the temple and those responsible for its end in a gospel written to gentiles who heretofore had not thought much about the temple at all? It presumably had no theological significance for them. So why? The answer, suggests Winn, lies in the propaganda the emperor Vespasian was so masterfully spreading throughout the empire after his and his son Titus’s victory in 70 CE. (I have written about this propaganda effort of Vespasian’s before so won’t go into details now.) In effect, we can say that Roman emperors ruled by divine right that was passed on through natural succession. 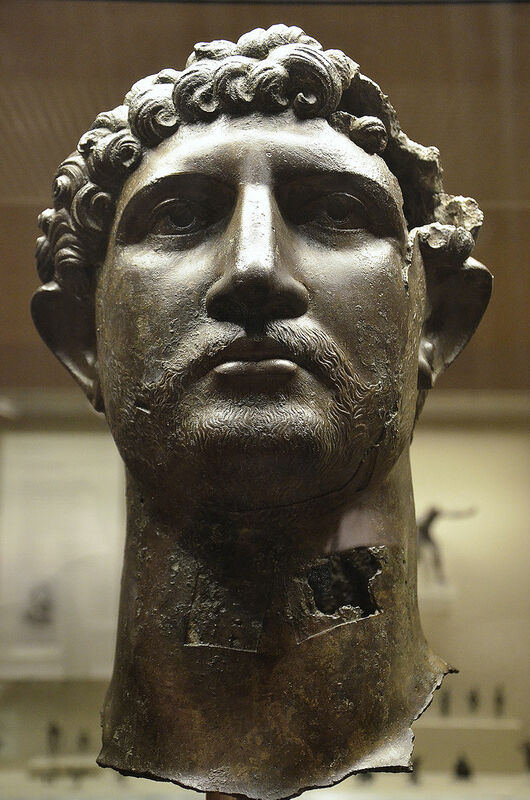 But when the system broke down and a new leader arose through military conquest (as had Augustus before him) then the assumption was that the gods had given a special display of “virtue” or courage and manliness and strength to become the rightful ruler. Vespasian not only defeated the last rival for the imperial chair but promoted his victory in Judea as a massive triumph, even declaring (falsely) that he had been the first to conquer that region. He displayed his greatness through this victory in statues, buildings, monuments of various kinds, and with stories spread of his miraculous powers (he healed the blind and restored a crippled man’s hand) and divine-scale beneficence (he fed a hungry Rome from his own largesse in Alexandria, Egypt). There were other miracles and wonderful acts that I won’t list here at this time. So what had happened? Vespasian had overthrown the god of the Jews! To prove it all the loot from the temple was now in Rome. 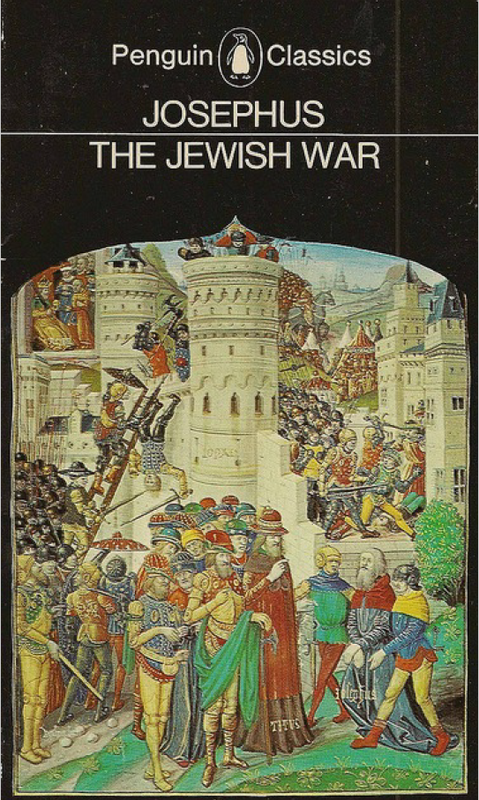 Jewish captives were marched by their hundreds in his triumphal procession. The temple of the Jews was destroyed and that proved that Vespasian’s gods had been more powerful, had subjected the god the Christians had looked to. Suddenly the temple, now destroyed, became a problem for many Christians. This is the inference that Adam Winn draws. If Christians were not popular before this time then one can imagine pagans concerned for their souls trying to bring them back to normalcy by taunting them over the fate of the Jewish god. And so Mark got to work. A story needed to be created to assure the flock that all was not lost, but that Jesus, the Son of God, really was more powerful and had in fact turned the tables on these ignorant fools boasting in their victory. I have many things to write about and will add more to this post in due course. Winn, Adam. 2018. 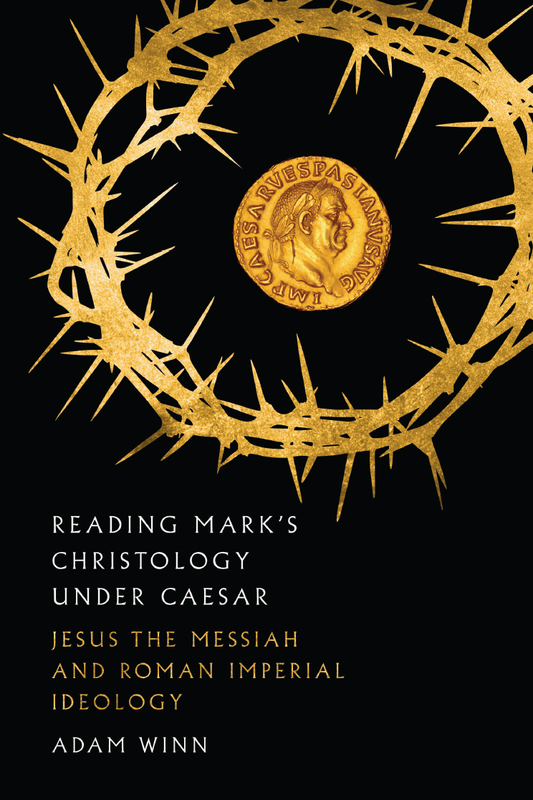 Reading Mark’s Christology Under Caesar: Jesus the Messiah and Roman Imperial Ideology. Downers Grove: IVP Academic. 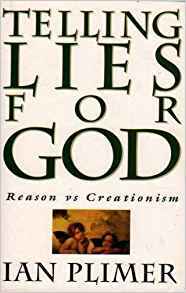 I continue to examine the arguments mounted in favour of the view that Jewish messianic expectations at the time of the founding of what became Christianity as set out by Richard Carrier. Previous posts have alerted us by now to the flaws in appealing to the New Testament for supporting evidence that the NT was itself a product of one of many messianic movements in the early first century CE. Once again we see the proclivity to find messianic underlays in any figure who happens to be popular or speaks of the future, evidence to the contrary notwithstanding. 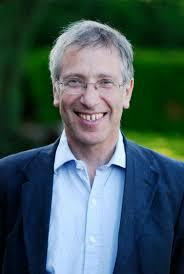 Two of the scholars I have quoted in previous posts are Richard Horsley. and Sean Freyne. Their works are included in the volumes that Carrier himself cited as supports by specialists in this field for the common view about messianic expectations. So how does Carrier respond to their views? Horsley still insists these are not messianic movements, but that assertion depends on an implausibly specific definition of ‘messiah’ (or an excessively irrational denial of obvious inferences): see my discussion of definitions (§3). Similarly in Sean Freyne, ‘The Herodian Period’, in Redemption and Resistance (ed. Bockmuehl and Paget), pp. 29-43: like Horsley, Freyne is only skeptical in respect to an over-restrictive definition of ‘messiah’: whereas given my definition, his evidence completely confirms my conclusion. The same can be said of Martin Goodman, ‘Messianism and Politics in the Land of Israel, 66-135 C.E.’ in Redemption and Resistance (ed. Bockmuehl and Paget), pp. 149-57. That is, with a little unfortunate muddying of the waters and an appeal to overly-restrictive definitions and obvious inferences. As for inferences, what we have seen in this series so far is that all the evidence for messianic movements has been inferential from data that is anything but obvious. Recall Geza Vermes made the same claim, that “obviously” such and such would have been interpreted in a certain way, but then proceeded to set out four other possible interpretations! Carrier supplies his own definition of what he means by messiah and to my mind it is no different at all from what Horsley and Freyne themselves accept. The problem is not in an “overly restrictive definition” but in an overly-liberal approach to seeing messiahs in the writings even when no mention of such a figure is present. As we saw, for example, with the rebel Athronges at the time of Herod’s death, we read twice of his interest in wearing a crown but nothing at all about an anointing. An attentive reading of Josephus’s description demonstrates that Athronges is emulating Herod as a king and there are no hints of any messianic pretensions. And so forth for all the other figures, as we have discussed in previous posts. I shall mean by messiah (the Hebrew word of which ‘Christ’ is a translation) any man in fact, myth, or prophecy who is (a) anointed by the Hebrew God to (b) play a part in God’s plan to liberate his Chosen People from their oppressors and (c) restore or institute God’s true religion. This means ‘anointed’ in any sense then understood (literally, figuratively, cosmically or symbolically), ‘liberate’ in any sense then claimed (physically or spiritually), ‘oppressors’ in any sense then identified (whoever or whatever they may be) and ‘religion’ in the fullest sense (cult, mores, sacred knowledge, and the resulting social order)— and I specify only ‘play a part’, not necessarily bring to fruition. All Jewish kings and high priests were, of course, ‘messiahs’ in the basic sense of being anointed to represent God. But here I shall mean a messiah conforming to (a) through (c). Yet I do not assume there must be only one messiah of that kind. Neither did the Jews . . .
I’ve seen some scholars question or deny that the Jews had any prior notion of a messiah before the advent of Christianity. But such a denial is accomplished only by proposing an implausibly hyper-specific definition of ‘messiah’, then showing no such thing was previously imagined, and concluding ‘the Jews had no prior notion of a messiah’. This is a textbook fallacy of equivocation: start with a term defined one way, then end with the same term defined in a completely different way, often without noticing a switch has been made. To avoid this, I shall stick to my minimal definition, since I am certain anyone meeting criteria (a), (b) and (c) would have been regarded by at least some ancient Jews or Judaizers as a messiah. I attach no other baggage to the term— no particular eschatology or scheme of liberation. Jews of antiquity were clearly quite flexible in all such details, as everyone agrees . . . I doubt that Horsley, Freyne or Goodman would have any problem with that definition. Forget quibbles over semantics and precise meanings. The problem is that Carrier’s definition itself is thrown to the winds when looking for evidence of popular fervour for the appearance of a messiah as defined by Carrier with the result that the de facto definition becomes “anyone who commands a popular following”. Even if the context and details described point to a quite non-messianic figure (on the basis of Carrier’s definition) it does not matter. In other words, even though Carrier insists that a messianic figure must be defined by “a through c”, if a figure conforms only to b and/or c then the most essential component, a, the anointing, is assumed to have been present. Of course it is the most essential detail that we should look for first. Carrier does not name the scholars who “deny that the Jews had any prior notion of a messiah before the advent of Christianity”. Even Carrier concedes that messiahs were common enough in Jewish ontologies as kings and priests; and as I have demonstrated in my previous posts scholars such as Horsley and Freyne, far from denying the Jews any pre-Christian notion of a messiah, do indeed address the references to messiahs in the inter-testamental writings. Since Carrier introduces another name I did not cover in earlier posts, Martin Goodman, I think this is a good time to quote some of his article that Carrier finds objectionable. The chapter is titled “Messianism and Politics in the Land of Israel, 66-135 C.E.” I did not use it earlier because as we can see it applies to the late first century and early second. how many Jews in Judaea shared … beliefs about the imminent arrival of the messiah, and what impact such beliefs had on the political actions which led Judaean Jews into two disastrous wars against Rome, in 66-70 C.E. and 132-5 C.E. and Jewish authors (esp Josephus) suppressed the evidence of messianic hopes among their people. An interesting thing happened to me while I was on my way to write this post this evening. (I was intending to expand on the discussion relating to another post but now have something much more interesting to write about.) I saw a reference online to a scholarly article that was suggesting that Mark’s account of Jesus’ healing the blind man by spitting on him may have been written in response to the rumour circulating that Vespasian had not long before performed the same miracle by spitting. Was Mark drawing the readers’ attention to a contrast between Vespasian using the miracle to declare his universal authority and Jesus using it to lead into his message about humble service? Eric Eve of Oxford had the article published in New Testament Studies in 2008, titled “Spit in your eye: the blind man of Bethsaida and the blind man of Alexandria“.